PHOTO: The outdoor lounge area at Revel in Atlantic City. (Courtesy of the Atlantic City Convention & Visitors Authority). The Revel Casino Hotel in Atlantic City, which has been opened for just two years, will go dark on Sept. 10. The property is closing after failing to find a buyer in bankruptcy court. 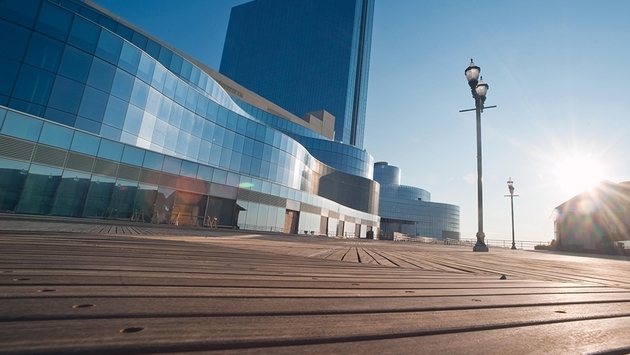 “Despite the effort to improve the financial performance of Revel, it has not proven to be enough to put the property on a stable financial footing,” the company said in a statement. Revel also said its dilemma was exacerbated by a “considerable non-controllable expense structure” which placed a financial weight on the company. All told, 3,100 jobs will be lost because of the closure. Just this winter, Revel AC, Inc., Revel’s parent, reached an agreement with a majority of its lenders by filing for Chapter 11 bankruptcy. The voluntary prepackaged Chapter 11 bankruptcy was expected to erase about two-thirds of the company’s $1.5 billion debt by converting more than $1 billion of it into equity for its lenders. Revel was the newest casino to open in Atlantic City. Officials said they still hope to find a buyer. “While we continue to hope for a sale of Revel, in some form, through the pending bankruptcy process, Revel cannot avoid an orderly wind down of the business at this time,” Revel said.